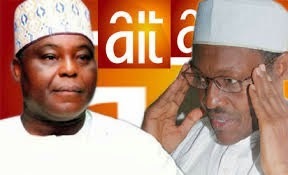 The proprietor of Daar Communications PLC, Raymond Dokpesi, has stated that Monday’s decision by the President-elect, Muhammadu Buhari, to bar one of its subsidiaries, Africa Independent Television, from covering his activities was an attempt by the former military Head of State to bring back the era of Decree 4. Mr. Dokpesi said Mr. Buhari lacks the power to stop the AIT from covering his activities, as doing so would amount to breaking the law. Mr. Buhari as Head of State promulgated Decree 4, tagged Public Officers (Protection Against False Accusation) on March 29, 1984. The law was drafted to punish authors of false statements and reports that exposed the Buhari administration and/or its officials to ridicule or contempt. Many journalists were arrested and jailed under the law. Mr. Buhari’s party, the All Progressives Congress, APC, on Tuesday reversed the decision of the president-elect to stop AIT, saying all accredited media houses are free to report on his activities. But speaking to Premium Times Tuesday, Mr. Dokpesi stated that Mr. Buhari should be reminded that he cannot return Nigeria to the era of Decree 4. “The president-elect said that he does not want to be covered by AIT, but AIT has a responsibility to the Nigerian public to report the things that are happening,” he said. Mr. Dokpesi also acknowledged that Mr. Buhari may have taken his decision based the documentaries ran by the station during the electioneering campaign. He said Daar Communications is a commercial entity and therefore reserves the right to run anything it considers worthy of being televised. He said there is also a right of response available to anyone who feels strongly about any matter broadcast by the station. “If they had produced their own documentary to say this is what we want and AIT did not publish it, then that is another matter,” he said. Mr. Dokpesi also added that another documentary about one of the national leaders of APC, Bola Tinubu were also factually correct. The media proprietor said although the documentaries were produced outside of Daar communications, “We take responsibility for the running of these items and I as an individual is satisfied because due diligence was followed in ensuring that the things that are contained were factually right”.